On Thursday 11th October, local MP Mary Macleod visited The Mulberry Centre, an independent charity dedicated to helping those whose lives have been affected by cancer, including carers and bereaved families. The Centre is based next to West Middlesex University Hospital in Isleworth. 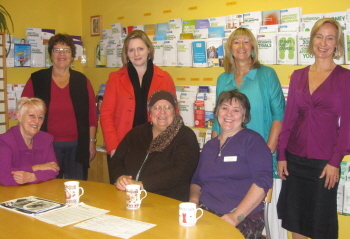 Mary with Cllr Barbara Reid, Cllr Pam Fisher, patients and staff at The Mulberry Centre.